Jalopnik has produced this magnificent graphic which shows the most popular cars state by state in the US. 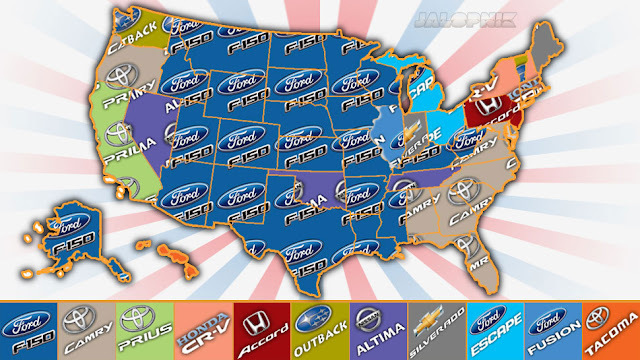 Not so surprising is the dominance of the Ford F-150, but the Prius is the most popular car in California? Really? And the Toyota Camry is the most popular car in Florida? At least Washington has taste. What do you think of of this information? Surprised? To aid non-US readers here's a map of the US states.